Sometimes, after you click Check for Update on Windows 10, Under Windows Update, an error message pops up saying there were problems installing some updates, but we’ll try again later. If you keep seeing this and want to search the web or contact support for information, this may help: (08x024a105). Even if you tried to search on Microsoft site for Windows update errors, you failed to find this update error code 0x8025a105, except some other Windows 10 update problems, like 0x80070003. 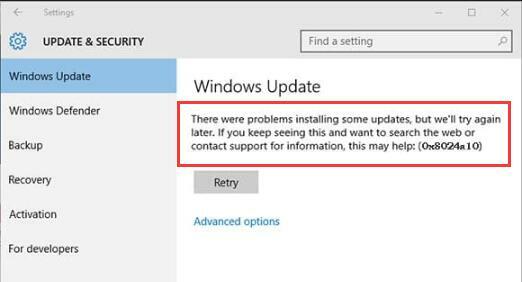 For your reference, here come to the most useful and effective methods to solve the 08x024a105 Windows update error. They are related to the Windows update file or client fixing on Windows 10. How to Fix Error Code Windows Update Error 0x8024a105 Windows 10? 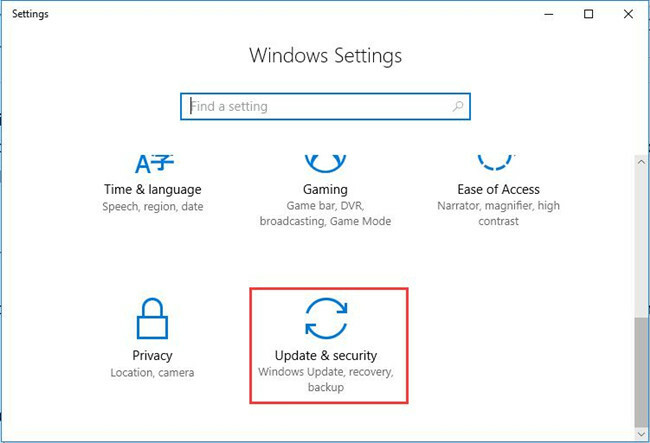 From Windows 10 automatic update files to system drivers, there are some ways you can take if you wish to resolve the Windows 10 0x8024a105. At the very beginning, now that this 0x8024a105 Creators Update error is caused by the Windows update not working, you may as well manage to use the Windows embedded troubleshooter to detect out what makes your error and fix it. 2. 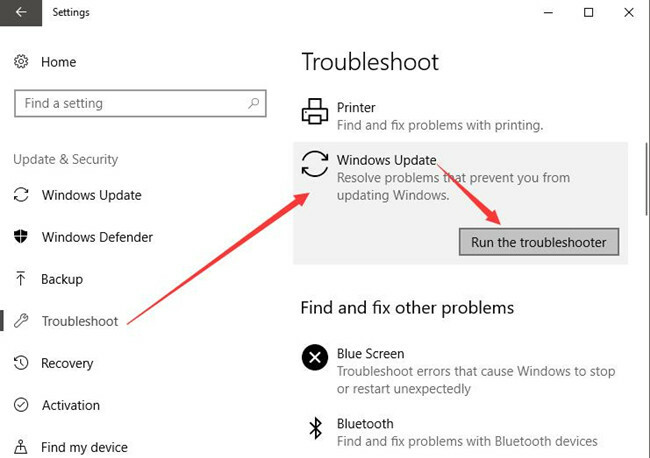 Under Troubleshoot, click Windows Update and then hit Run the troubleshooter. If lucky, this troubleshooter is capable of figuring out the reasons why Windows 10 update error 0x8024a105 comes to you. And it will strive to fix the problem for you as well if possible. This software distribution folder is a part of Windows Update, which is why now you are suggested to clear and then reset it once Windows 10 error 0x8024a105 happened to you during a period of time. But if you hope to delete the software distribution folder, you would better end the related services. 2. 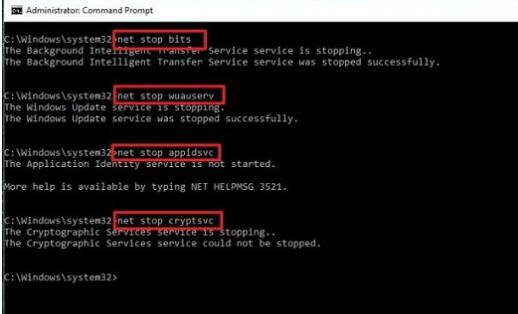 In Command prompt, copy and then run the following commands one by one. 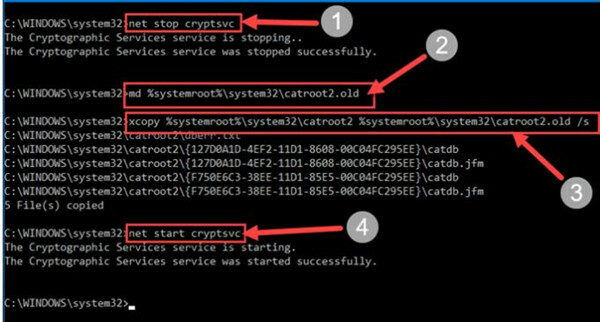 It is to stop services in relation with Windows update, such as cryptsvc. 3. Then double click This PC on your desktop and in File Explorer, go to find C:\Windows\SoftwareDistribution\Download. 4. Double click Download folder and then right click the files in it to Delete them all. 5. After that, go back to Command Prompt and run the commands to start the services with regard to Windows Update. It is possible that Windows Update error code 0x8024a105 Windows 10 is removed by yourself. Besides the Software Distribution Folder, here you can also attempt to delete the Catroot2 folder on Windows 10 for the purpose of solving the Microsoft error code 0x8024a105. It is said this Catroot2 folder is necessary for updating Windows systems. Just like deleting the folder of Software Distribution, before getting started to remove the Catroot2 folder, you need to stop certain program in Command Prompt for the sake of security. 1. In Command Prompt, enter the commands below and press Enter to perform these tasks. 2. Then in File Explorer, find out C:\WINDOWS\System32\cartoon2. 3. Right click the Catroot2 folder to Delete it. When you login in Windows 10 again, try to Check for Windows 10 update to see whether the ox8024a105 Windows 10 update error persists on your PC. It has been mentioned that this error code 0x8024a105 Windows 10 can be caused by system file corruption. In this way, you are suggested to make use of System File Checker to check if Windows Update files are corrupted. Or you may as well decide to use Deployment Imaging Servicing Management (DISM) to resolve Windows 10 image problems. 1. 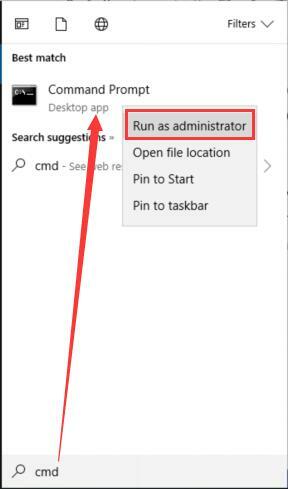 Input Command Prompt in the search box and then right it to Run as administrator. 2. Then in Command Prompt, enter sfc/scannow and then stroke Enter to run SFC. System File Checker will be checking the system file errors on your PC, and it will also help you fix Windows 10 update 0x8024a105 error through removing the corrupted files. Then to run DISM, in Command Prompt, copy dism /online /cleanup-image /restorehealth and then perform it on Windows 10. All done, try to reboot Windows 10 to let all these changes take effect. Then go to update Windows 10 and you will find you are free to download, install the updated Windows 10 from the automatic Windows update client. In short, this 0x8024a105 Windows update error occurs to you can be caused by various factors. 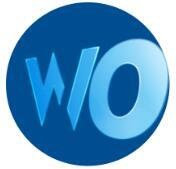 The solutions above are able to fix this system updating issue in a great sense. But even if they failed to do so, you would better choose to enter the safe mode to remove the problem.